Dwight D. Campbell’s career as a lighting pro stretches back more than three decades. Along the way, he’s worked with ASC luminaries like Russell Carpenter, Dean Semler and Julio Macat. With Mikael Salomon, ASC, he worked on Backdraft, Far and Away, The Abyss and Torch Song Trilogy – just a few of the more than 80 credits he’s earned. Dwight agreed to share some of the wisdom he’s gained during that impressive run with The Gold Room. Dwight grew up in Michigan and majored in film, business and the humanities at the University of Michigan. His career began on documentaries for the National Endowment for the Humanities. Then came graduate school in the producing program at AFI, where he monitored the camera program simultaneously. He feature career began to gain steam while he was also working as an art director for a magazine. In 1983, after a long stint lighting motion control and title work with DP Tim Angulo, Dwight gaffed El Norte, a film shot by James Glennon, ASC. Runaway Train came next, followed by Tales of Meeting and Parting. All three were Oscar-nominated in various categories. He joined the union on The Abyss. Dwight makes a distinction between the very high quality of today’s best television cinematography and the overall mediocrity of the medium’s imagery. Lately, between feature assignments, Dwight has been consulting for Disney on animated content. He’s contributed expertise to Robot Chicken, SuperMansion and Buddy Thunderstruck, and many others. At Stoopid Buddy Stoodios in Burbank, there can be as many as 26 stages shooting five days – and nights – a week to meet deadlines. 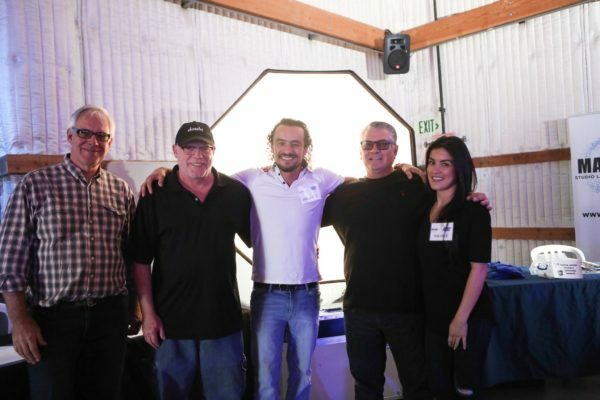 MICROgrip equipment, a small gobo system made by Matthews, makes a big difference in tabletop photography. The lamps are often 300- or 650-watt Fresnels, with occasional 1Ks and 2Ks. Mini Source Fours are another go-to fixture. Mole Focal Spots are sometimes brought in. Dwight also relishes the opportunity to work on in various formats. Around the turn of the millennium, he worked on Cirque du Soleil: Journey of Man with cinematographers Reed Smoot, ASC and Peter Anderson, ASC. The format was 3D IMAX – on film. “3D doesn’t really change my job – it just amplifies it,” he says. “You have to have the depth of field to create the illusion and make it work. 3D doesn’t work unless you have it in focus and you don’t break the borders. It’s a challenge to have a 5/6.8 split. Even on the fast film stock, at 500 ASA, that was a stop and two-thirds to two stops of light loss just because of the rig. He sees the advent of lighting to the monitor as having a detrimental effect on the on-set hierarchy, and through that, on the quality of imagery produced. “It used to be pretty straightforward,” he says. “We’d do our job and we’d see dailies and we’d know where we were going. Now, people want to look at a monitor, decide what’s there, make changes on the fly, and expect it to be perfect. It’s an irritating experience. “If a cameraman can’t visualize what he or she wants to shoot, and is dependent on the monitor, I feel that he or she has missed the first step of doing the job,” he says. “You need to be able to use your eyes. Look at all the complexities that were encountered in the 1930s and ‘40s – black and white film, re-exposing, et cetera. It’s very different from what we do in terms of the planning required. Dwight’s most recent assignment was Love by the 10th Date, a romantic comedy for Lifetime. The director of photography was Byron Shah. It’s safe to assume the project’s visuals are based on a solid foundation of basic camera skill.